Unlike the ALPHA and CORE direct room humidifiers, this new system doesn't require humidifier modules to be installed on the ceiling or wall. 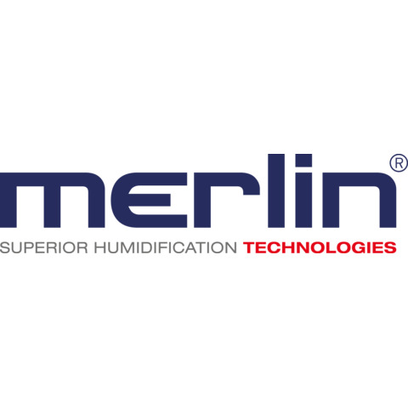 Thanks to its reduced evaporation distance, ORBIT WING from Merlin sets a new standard in high-pressure duct humidification and can be integrated with ease into any ventilation or air conditioning system. Based on the high-pressure atomizer principle, ORBIT WING humidifies the air direct in the duct using special MICRO-DROP atomizer nozzles. Wings are integrated into the system to produce precision turbulence at the breakaway edge.